This tattoo is like a character in cartoon movie. 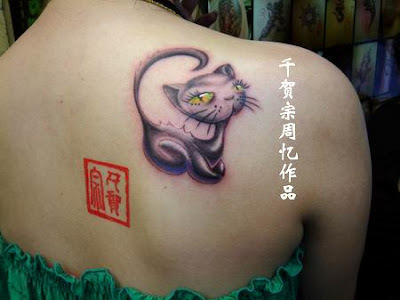 The eyes of this inked kitty shows a good contrast to the body. Perfect girl tattoo.